Come join the fun and meet new friends!!! 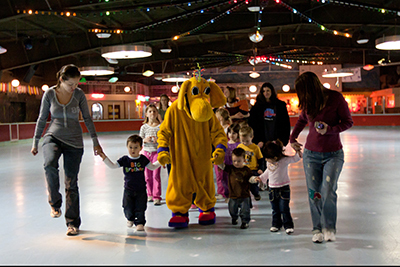 Includes admission and skate rental for child. Any child capable of walking must pay admission. Monthly theme, costume characters appear weekly and lots of fun and games. 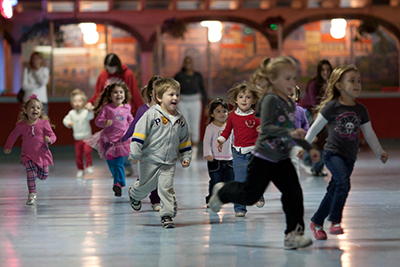 You may bring a small plastic toy to ride, use our scooters, romp around in shoes or roll on skates. Note: All riding toys must be plastic, no motorized toys, metal bikes with spokes or chains, foot scooters or skateboards.